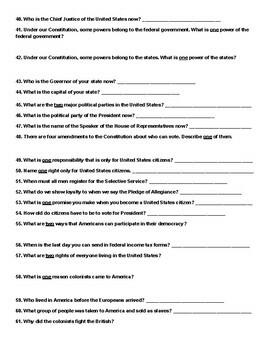 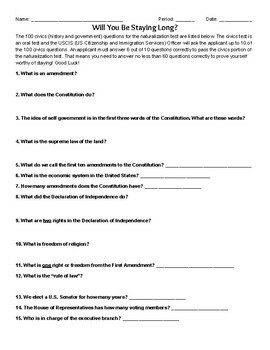 This activity is the 100 civics (history and government) questions for the naturalization test. 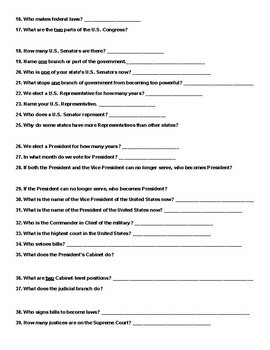 It works well as a kick start to the begining of the school year in a US Government class. 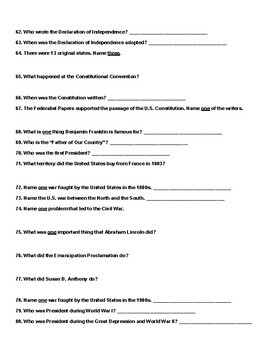 Students can test their knowledge at the begining of the year (majoriy of the students will score around 55 correct answers) and compare their score to what they have learned at the end of the year to show growth!